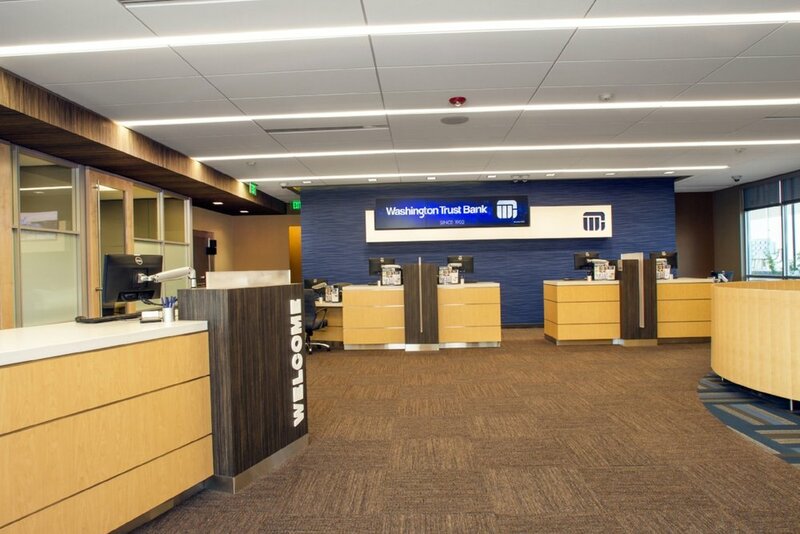 WTB | Pullman Branch Financial Interior Design — Design Source Inc. 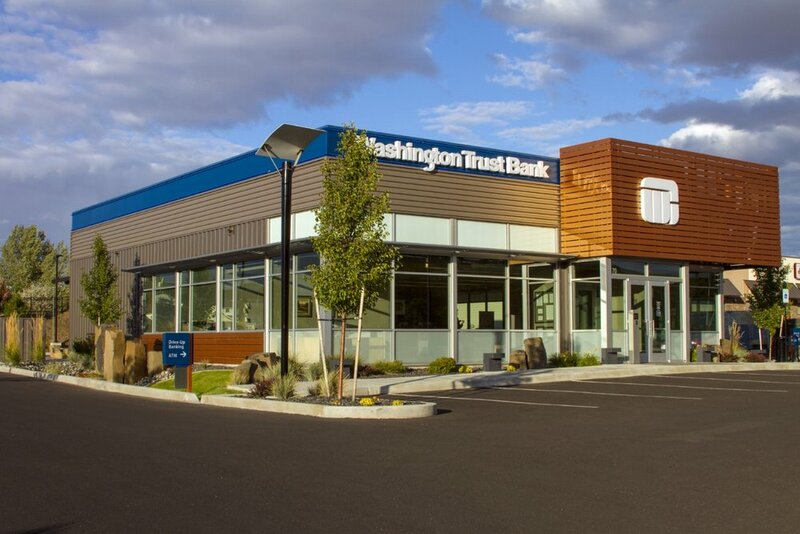 Develop a unique design to support and enhance Washington Trust Bank’s vision and new retail delivery platform for their branch locations. Ensuring a quality customer experience within a modern, tech savvy, customer focused environment was the primary project goal. 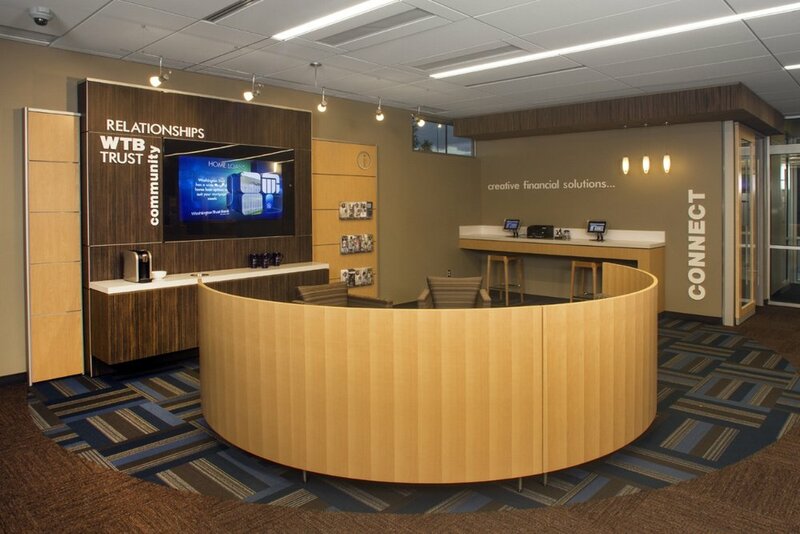 An open, casual environment was created to support and foster collaboration between customers and bank staff. Customers are assisted the minute they walk in the door by the greeter station. In lieu of a traditional teller line, service islands provide areas for personalized transactions whether assisted or self service. 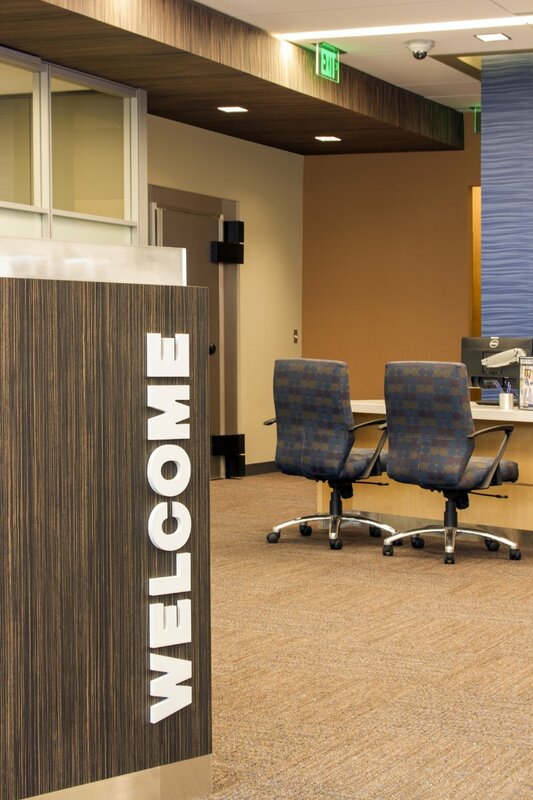 Interactive areas provide financial tools and product awareness and a semi private central lounge area provides opportunity for casual collaboration and education. 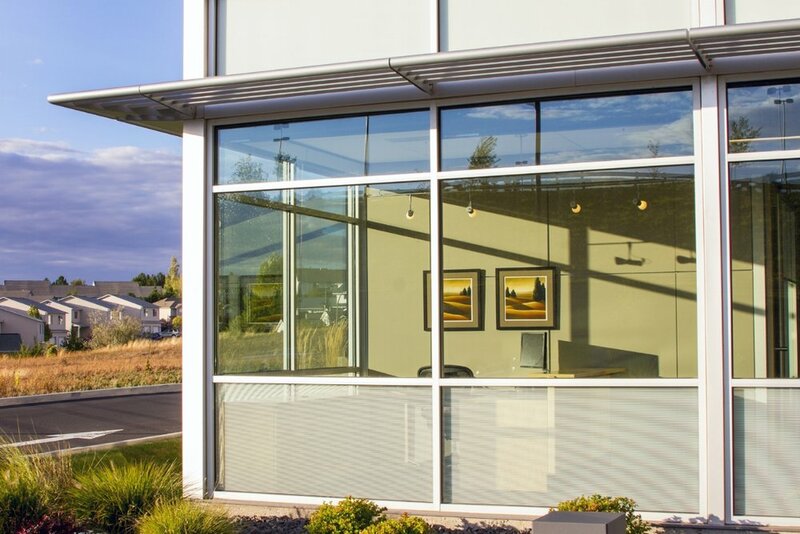 A high tech media room gives Pullman customers virtual access to loan officers, private bankers, and wealth management advisors from other bank locations. The interior design layout and youthful, inspirational atmosphere has a positive influence on the staff allowing them to engage at work while building long term relationships with their customers.